I just finished them and they available for purchase! Top left: Silver shiny material stud guitar pick earrings. 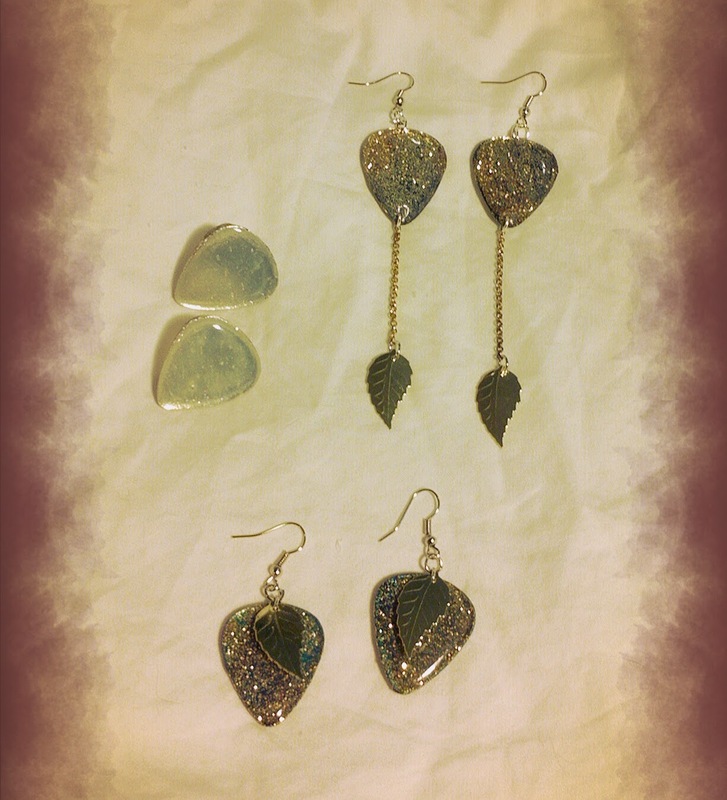 Bottom: Teal and black guitar pick earrings with gold leaf. ✓ If you are interested in this, you can reserve it or send me an email.